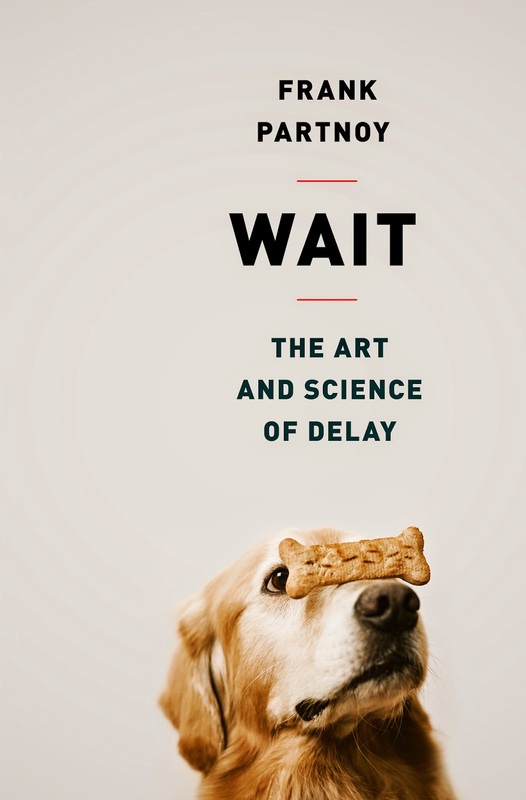 In GWorks Interviews: Frank Partnoy, Professor Partnoy discusses his latest book, Wait: The Art and Science of Delay, a study of the relation of time, timing, decisions and how understanding the value of procrastination makes for better decisions. Frank Partnoy is George E. Barrett Professor of Law and Finance and the founding director of the Center for Corporate and Securities Law at the University of San Diego School of Law. In addition to Wait, Professor Partnoy has written The Match King: Ivar Kreuger, the Financial Genius Behind a Century of Wall Street Scandals; Infectious Greed: How Deceit and Risk Corrupted the Financial Markets; and F.I.A.S.C.O. : Blood in the Water on Wall Street. Part One: The Two-Step Wait: The Art & Science of Delay and decision-making as a two-step process. Part Two: On Second Thought Decisions that take milliseconds. Part Three: Traders Speed trading, the flash crash, algorithms & procrastinating at the speed of light. Part Four: Regulating How the ideas in Wait apply to longer-term problems, like market regulation. Part Five: Waiting Thinking about and changing values. GOVERNINGWorks (GWorks) [00:00:25:26] How would you describe Wait: The Art and Science of Delay? Frank Partnoy (FP) [00:00:30:26] This is a book about the role of delay in decision-making. There’s been a lot of thinking and writing about how we make decisions, about why we make certain kinds of decisions, about what we should decide. There hasn’t been as much writing or thinking about when. And so, I wanted to explore the question of what the ideal timing of decisions is and how that varies over time. GWorks [00:00:54:06] How did you focus your research? FP [00:00:59:06] There’s a tremendous literature on decision-making generally, going back for decades. And I teach decision-making and do research on decision-making, primarily in the business and financial area. And one of the challenges of Wait was trying to stitch together different aspects of the decision-making literature to try to understand different buckets of time, to try to pool together behavioral economics and psychology and neuroscience research as it relates solely to decisions that take milliseconds. And then do the same thing for decisions that take seconds. And then the same thing for decisions that take minutes. And so on, as the temporal time-frame is elongated. And so, one of the challenges was to read widely and try to understand all of these literatures and what their connections are. And then also to look more recently at the, what I’d call a push-back in various aspects of decision sciences against the idea that snap decision-making is good, or is always good. In the last several years, a number of researchers have shown I think quite compelling evidence that two seconds is not the optimal time for all decisions. And so, I wanted to bring those decisions, that decision literature and that research also to bear, some of which, frankly, is not published. And then, in addition to the literature, I also wanted to find real world examples and interview people who have confronted the crush of technology and twenty-four-hour news media and e-mail and social media and the Internet and who have been successful in confronting this crush of technology and continue to make good decisions. And so, so I wanted to weave together with the decision-making literature a series of interviews with successful CEOs and senior executives and senior political leaders to try to understand how that capacity to make good decisions in the teeth of technology relates to the recent literature. GWorks [00:03:12:28] Is there something that unifies the people you interviewed? FP [00:03:17:28] I think so. I think...and I think the common quality is the strength and wisdom to step back and think about the big picture and to understand what timeframe a particular decision requires and to not be influenced by either the crush of technology or, often, people’s own experience and hard-wiring. I think this really is a lot of what people refer to as ‘leadership’ or ‘wisdom’ is the ability not to react like an animal. If you think about sort of what distinguishes human beings from animals, it really is our ability to think about the future, to take a step back and not react instantaneously. The cover of Wait has a Golden Retriever with a bone perched on her snout. And, in some ways, she’s role model for all of us because it’s hard for a dog to delay gratification even for a few seconds. But also one of the instructive aspects of that photo, I hope, is that we can do better than that dog. And I think what a lot of leaders understand is that one of the reasons they’ve become successful is that when they’re confronted with something other people might think of as a crisis, they’re able to take a moment and step back and understand that it’s really not a crisis, that they’re, that this is a road that people have been down before and that, if they take some time, that they’ll be able to maneuver in a much more skilled and and adept and thoughtful way. And also, frankly, that they’re able to think more carefully about the future consequences of quick action. That they, again, it’s this human capacity to contemplate the future. GWorks [00:05:05:05] Does this principle of delay apply to any time frame? Any task? So, if it’s a tennis player responding to a professional tennis serve, the maximum amount of time is about 450 milliseconds. If you wait longer than that, the ball has gone by. For an apology, it might be slightly longer. It might be that you can wait several days or a week rather than apologizing instantaneously. So, the first set of questions, and I found that people in all aspects of decision-making who make good decisions will start by consciously or unconsciously, amazingly for professional athletes it’s unconsciously, contemplating that question of what is the maximum amount of time. And then the second step, the second question, is really about procrastination. It’s about delaying as much as possible within that time-frame. So that the best professional athletes, the best tennis service returners are able to wait until the last possible moment within that 450 milliseconds that they have available. That Jimmy Connors was really such a great tennis returner not because he was fast but because he was slow, because he perfected his stroke with such skill, that he’s able to wait an extra 50 milliseconds, that’s what the research on super-fast athletes suggests, that 50 milliseconds defines the difference between a professional and an amateur. And so that Connors’s ability to create that extra time, to wait an extra 50 milliseconds, enables him to return serves in a more proficient, efficient, better manner. And that appears over and over again. The same is true of apologies: that apologies that are delayed as long as possible are more effective. And again it’s counter-intuitive because we’re taught as children, ‘you should say you’re sorry right away.’ But, the research on apologies shows that there are really two key factors that matter with apologies. One is making sure that the aggrieved party has enough time to process information about what it is you’ve done wrong, that they can understand the Who, What, Where, Why—all of the details. And the second factor is giving them time to vent, giving them time to be angry at you. So that, if you accidentally spill a drink on somebody at a party, if it’s an unintentional, simple act, you should apologize right away. But, if it’s a complicated act, if it’s intentional, if it’s infidelity or a serious transgression at work, that...you actually want to do the opposite, that you want to ask this fist question, ‘What’s the maximum amount of time I could wait until I apologize?’ And then, second, you want to procrastinate. You want to delay your apology until the last possible moment. And, in the book, I go through a number of examples of politicians and entertainment stars, who apologize effectively or ineffectively. And one of the key factors, as research suggests, really is, are they able to figure out the right amount of time to delay and then delay that long. GWorks [00:08:40:08] Does the event tell you what your approach should be? FP [00:08:45:08] One of the the really interesting things about how very skilled decision-makers and reactors approach events is that they...they do seem to grab in advance a huge amount of expected content of the event and incorporate that into their then ex post, later decision process or reaction process. This is what Gary Klein, the research psychologist, calls a ‘pre-mortem’—not a post-mortem, a pre-mortem. In other words, to in advance try to understand how something might go wrong, to try to intuit, ex ante, what kinds of factors might matter to your decision when it happens ultimately and to prepare yourself for that so that you won’t be subject to the foibles of your own hard-wiring. And this is what tennis players do when they practice their stroke in advance and try to know in a match what kinds of serves they might confront. For them, its all pre-conscious. Benjamin Libet, the neuroscientist, showed that there’s a 500 millisecond consciousness barrier. So that they’re not going to be able to ‘think’ while they’re returning a serve. It’s simply not possible for human beings to engage in conscious thought in that short a period of time. But that the same kind of pattern holds when we are able to engage in conscious thought. That we can plan for the crisis moment to imagine the worst case scenario. It would have been nice, if banks had done this in advance of the financial crisis. Unfortunately, they didn’t. Some of them are using the pre-mortem strategy now. But, effective decision-makers in all aspects of life do this. Bill Belichick, the coach of the New England Patriots, is a great example. He is extremely well-prepared for high-pressure situations at the end of games. He constructs pre-mortems. He reads the literature on when you should ‘go for it’ on Fourth Down. So, he knows exactly what to do at the end of games, so that when he faces the pressure, the crush of his own biology, that he will be able to respond in a way that is thoughtful even though he might not have the capacity for actually thinking all this through because he’s done it in advance. And, one of the things you do in a pre-mortem, when you’re trying to anticipate being in a situation, is thinking through the context of that situation so that you understand the substance of what might confront you. GWorks [00:11:56:10] You’ve written a diverse but not un-connected set of books. What brings you to this book now? FP [00:12:01:10] It’s very kind of you to suggest that the four books, the four trade books are related in some way. I’m not sure that they are. But, maybe they are. And really the impetus for this book was partly driven by my studying finance and the financial crisis. But, really it’s because I’ve always been a procrastinator. Since Elementary School, when my mom would try to get me to make my bed every morning, and I came up with arguments that are very similar to the two-step analytic approach of , arguing that the right time-frame for making my bed is much longer than just a few minutes in the morning. That I’ll just be sleeping in it again later, so why should I make it now. And, and even after school, I would argue that, even if my mother represented that we had people coming over, that we had guests coming over at Six O’clock, I would say, ‘Well, it only takes me a minute to make my bed, so I’ll wait until 5:59. And moreover, what if they decide not to come? I should wait until there’s hard evidence that they’re there. I should see a car in the driveway. I want to hear a knock at the door.’ That the right way of approaching making my bed is, first, what time-world am I living in; and, second, let me wait as long as possible. So, in some sense, this book, Wait, has been a culmination of my life as a procrastinator. But, to try to make a connection to my previous books in finance, the other driver was thinking about the rash, snap decisions that were made in the financial crisis and that I’ve written about before. In both F.I.A.S.C.O. and Infectious Greed, I talked about decisions that were made that, if there had been sufficient reflection probably would not have been made. If the people in Orange County [California] had thought through the risks associated with Structured Notes before they bought them. If people had thought through the risks of Mexican Peso-denominated investments in derivatives before they had bought them. That maybe we would have been, they would have been more careful. Maybe they wouldn’t have taken on these risks. And, I learned an interesting story about Lehman Brothers in the financial crisis, which is that Lehman Brothers tried to design a decision-making course for their executives that drew on a lot of the literature that I draw on. This was back in the Fall of 2005. They took four dozen of their executives and holed them up at the Palace Hotel on Madison Avenue in Manhattan and they brought in decision-making experts to talk to them about biases in their own decisions, about some of the research on decision-making. They brought in people from Harvard Business School, well-known psychologists. They designed a custom Implicit Association Test. And then they brought in Malcolm Gladwell as the capstone lecturer. He had just published his best-seller, Blink[: The Power of Thinking Without Thinking], which was really more balanced in its approach to decision-making than many people read it to be. The last third of Blink was about some of the dangers of snap decision-making. It focused on the police shooting of Amadou Diallo in the Bronx and the gender bias in music auditions. But the people at Lehman didn’t want to read the last third of Blink. They took a different message, which was that two seconds is really the optimal time for decisions—maybe even faster than that. The president of Lehman Brothers, Joe Gregory, passed out copies of Blink on the trading floor and urged Traders to go with their gut. And so Lehman Brothers took this course and then they marched back across Manhattan to their headquarters in Times Square and proceeded to make the worst snap decisions in financial market history. And one of the things I thought was, ‘Wow. The people on Wall Street are really taking the wrong decision-making course. Or, they’re taking the wrong lessons from the decision-making literature.’ And so, I’d like to present them with a more balanced, more nuanced read of that literature. And also to update the literature in response to the way Blink was received because a lot of decision scientists reacted very negatively—not only to Blink itself but to the way Blink was interpreted by the public. And so I wanted to reflect that literature. And, I hope that people on Wall Street going forward will think much more carefully and take more time with their decisions than they have in the past. GOVERNINGWorks (GWorks) [00:16:30:03] Would you talk about decisions that take milliseconds? Frank Partnoy (FP) [00:16:35:03] Part of what’s happening when we have decisions that require only milliseconds is entirely pre-conscious. So, this is us where we really are acting like animals. We don’t have the capacity for conscious contemplation. So, we’re reacting instinctively. This is the fire fighter arriving at the scene and not making a decision. When Gary Klein first did his initial study for the military, and started doing field work, asking fire fighters about their decision-making, they were puzzled because they said, ‘Well, we never...I don’t know when I’ve ever made a decision.’ They simply didn’t understand what the military and Gary Klein were talking about because what they were doing was all at the pre-conscious, milliseconds-long level. And this is where we really do harness our hard-wiring, our biological, fight-or-flight reactions. Many of the things that I found in Wait suggest that there are nuances to those biological reactions that people haven’t understood quite as well, that not all of it is happening in the brain, that actually there’s a fair amount happening in the Vagal Nerve, the Vagal Nerve complex, in particular the tenth Cranial nerve, the nerve known as the Vagal Nerve that winds around from the base of the brain stem down through our bodies, around our heart and gut, that controls a lot of our biological apparatus within milliseconds, that regulates our heart rate variability, the milliseconds-long changes in our heart that scientists have shown are highly relevant to our emotional well-being. There’s an interesting study I found that Stephen Porges and others had done of infants, where he had taken a group of nine-month-olds and had tested them in various standard ways, using the Bayley Infant Scales Development Test [Bayley Scales of Infant and Toddler Development], which tests responses to different kind of stimulus, playing with toys and so forth; had also asked their parents questions about their behavior and how they reacted; and then had tested milliseconds-long physical responses in terms of heart rate variability. And, those were the tests at nine months. Then, he brought these same kids back at age three years and studied which of these tests predicted their emotional states or their behaviors at age three years. And one of the amazing things he found was that the Bayley Scales tests weren’t predictive. That what parents thought of their own kids, how they answered these survey questions weren’t predictive. But that what was predictive was heart rate variability. That having a highly variable heart rate, that sort of being able to quickly accelerate and quickly decelerate would predict whether a baby and now a three-year-old would have good emotional health. And the intuition behind that is that, if you have the ability to accelerate and decelerate your heart rate quickly—OK, so we’re talking about, imagine two babies that each have 100 beats per minute on average, 100 beats per minute, one is only able to vary in a narrow band, say between 90 and 100, the other is able to vary in a wider band, say between 80 and 120. The one that is able to vary in a wider band will be more resilient in a way in responding to stimulus. It will be able to accelerate and decelerate, sort of like a high-performance car. And the idea is that, if you’re driving a high-performance car on a winding road, it might be very dangerous but you’ll feel safer, if you have the ability to accelerate and brake very quickly. And one of the amazing things that scientists have found is that this kind of hard-wiring actually is related to all kinds of emotional problems, that heart rate variability is, and this is controversial but appears to be associated with asthma, autism, borderline personality disorder. So, there’s a way in which this kind of apparatus within our bodies is influencing our decisions in ways people previously hadn’t understood. More generally, the ways that we respond pre-consciously are governed by biological reflexes. They’re less conscious contemplation and more simply reaction. GWorks [00:21:18:11] To what does research into milliseconds-long activity relate? And this is all very much cutting-edge now. It might be the case that in the future we’ll use heart rate variability as a measure of mental health in the same way we use blood pressure or cholesterol as a measure of physical health. But it is quite preliminary. One of the things that it has justified is a kind of approach to physical health that a lot people use anyway. Exercise, meditation, Yoga. These have all been shown to be associated with this kind of heart rate variability response. But, part of it we clearly are able to affect. And, even if we can’t affect it, we can understand it at some levels. So that, one of the things that Steven Porteous has shown is that safety is incredibly important to the development of infants and young children. That...that...one of the things that can happen with the Vagal Nerve is that they, young kids and infants, can respond very negatively to serious stressers, to a gun shot being fired or to being screamed at. And that what we regard as scary might not be what their body regards as scary. So that, if we’re trying to find rules, it might be that we’re so far along as adults that it’s too late, although there’s some evidence that exercise and meditation can improve our own heart rate variability. But, as a policy measure, one of the most important things that we can do is try to understand this for the next generation, for children. And although we might not thing a scary halloween mask is really scary, if a young child or infant’s body is responding to it with a shut-down reflex, then it is scary. If we’re screaming, ‘Get your hand away from that stove, that hot stove or that knife,’ because we think that it’s going to protect our child, that we might actually be doing that child a great disservice because our intonation, our loud voice, our threat might trigger a kind of Vagal shut-down response much like a reptilian response that can have negative repercussions later on. So, it’s something that...that is again very much a cutting edge set of research but hasn’t yet found its way into a lot of policy literature. And yet is very closely related to the literature that has about our brain reactions and neurological responses. And so, I think it should be. I think it’s something we should put on the table for thinking about in our own decision-making. GWorks [00:25:06:21] Might research on milliseconds and the biology of human responses affect how law understands and punishes—whether it is criminal acts of violence or civil acts of fraud? FP [00:25:15:21] It’s a very interesting question. I doubt that bankers will try to use the ‘my brain made me defraud you’ argument, particularly in the civil context. But there is a lot of research that suggests that not just our brains but our Vagal responses are crucial to our reactions and decisions. And to the extent people are using fMRI now, I can easily imagine an argument for using heart rate variability or even faster responses. Until recently, fMRI readings were not fast enough to capture milliseconds-long responses. And those that are being used in trials now are using the older technology and so really aren’t capturing these super-quick kinds of responses. And so, as we...as technology gets better and we’re able to capture, instead of just seconds, milliseconds, it might be that we widen the scope of what is fair game in thinking about intentionality and culpability. I mean, it’s very interesting to think about this in the context of the effects of subliminal messaging on us. For example, I can made you read 20 percent faster by subliminally flashing a fast food logo at you. You won’t realize that you’ve seen it. But, Sanford DeVoe, a psychologist at the University of Toronto has shown that when he flashes—again subliminally, this is just milliseconds, people don’t consciously understand that they’ve seen any of this—but he subliminally flashes McDonalds, Burger King, Wendy’s logos at people on a computer, that they then react, that they respond. They read 20 percent faster; they have a harder time enjoying beautiful photographs or images. They think that music is taking look long. They become progressively more impatient. And this again goes back to the question of how the crush of technology is impacting all of us and speeding up our decisions and reactions. And, I could easily imagine that, that in the future, someone would argue that subliminal messages or the crush of technology led them to react more quickly than they otherwise would have. I’m not sure how much play that argument would have in the courts. But certainly in our own lives, in our own decisions, it’s hugely important to understand how various aspects of technology and just our world over-all are impacting our responses. And they are. We are...when we are exposed to images, as we are constantly, it affects our decision-making. One other example is race. Clearly, race and images of different faces of different races impact our decisions and judgments. However, if we can harness our capacity to be un-animal-like, to be human-like and think about the future and take a conscious pause, we can counter-act some of that. And it would be interesting in terms of future applications whether this capacity to counter our own snap biases will play a role. There was a study done by a group of researchers of doctors. Doctors generally are not racist. However, studies have shown that doctors tend to react differentially based on race. And what these researchers wanted to do at first was replicate this study. And so they created a situation where a patient photograph that was shown to half of the doctors, one half saw a white patient, one half saw a black patient. And, as with other studies, the doctors systematically under-treated the black patient. This is an uncontroversial result in the literature that doctors, because of their implicit biases, as shown on Implicit Association Tests, tend to under-treat black patients. However, one of the interesting aspects of this study was, there had been so many of these studies done, that a sub-group of the doctors figured out that what the researchers were testing was their own racial biases. About a quarter of the doctors figured out that this was a test about race. And for those doctors, for the sub-group who understood that their own racial biases were being tested, they did not systematically under-treat the black patient. In other words, once race was an issue, for these doctors, race was no longer an issue. And what it illustrates, I think, is that we have this capacity to consciously understand our own unconscious biases. And that often, when we do understand them, we can reverse them. Speed trading, the flash crash, algorithms & procrastinating at the speed of light. GOVERNINGWorks (GWorks) [00:30:31:16] Would you discuss high-frequency trading and the UNX story? Frank Partnoy (FP) [00:30:36:16] I am a finance person. So, one of the things I did for Wait was interview people in the financial markets and particularly high-frequency traders. High-frequency trading is now 70 percent of the US stock market. This is trading that occurs in just milliseconds. And I found an intriguing example that involved a company called UNX. UNX was at the bottom of league table charts in terms of execution. Their strategy involved high-frequency trading of small cap stocks. And their Chair, Andre Perold, was the head of Harvard Business School’s finance faculty at the time. A very, very smart guy. And he decided the company needed a new CEO and needed someone who thought outside the box, who would be creative. And he hired a man called Scott Harrison, who not only had a lot of experience as a computer programmer and high-frequency trader, had built a lot of complicated algorithms, he also had been an architect at Skidmore Owings Merrill. He was a chef. He was gifted carpenter. He was a Renaissance kind of guy. So, he was brought in. And he re-worked all of the computer algorithms. Re-built the computers. And set them up in a small office in Burbank, California, 3000 miles from the New York Stock Exchange. Flipped the switch. And suddenly, UNX went from the bottom of the league tables to the very top of the league tables. And Scott Harrison was a hero and everyone was very, very happy. GWorks [00:32:12:14] Why did UNX succeed? FP [00:32:17:14] So, one of the...so the reason they were able to be so effective was essentially that there’s a kind of War Game taking place in the financial markets, where this computer algorithm is fighting this computer algorithm. And they’re trying to be faster but they’re also trying to be better. They’re trying to trade stocks as cheaply as they can. They’re also trying to take advantage of information that’s available in the marketplace. So, there are a bunch of different factors. How fast you are. How much information you’re able to glean. And what everyone else is doing. And, Scott Harrison’s new model was able to out-perform on all of these axes. It was able to execute trades at lower prices and it was able to take advantage of information in the market and it also, frankly, was able to out-compete these other computer algorithms. You can think of it sort of a, almost like a sporting event, where all these computers are lined up and they compete against each other. And he had built a computer that was more powerful, faster, better. And so, they were able to make more money. They were able to execute stock trades at cheaper prices and out-perform. GWorks [00:33:25:25] UNX’s success on the West Cost fuels a move to the East Coast—to get geographically closer to the stock market and reduce the time it would take to execute trades? And the reason for that is that it takes a while, even at the speed of light, for the signal to go through fiber optic wire from California to New York. It’s 3000 miles. At the speed of light it takes 30 to 35 milliseconds. So, they pack up their computers. They ship them to the New York Stock Exchange. They flip the switch again. Now, their execution speed is twice as fast. And yet, they move from the top of the league tables back down to the bottom of the league tables. And, it’s the strangest result. People in UNX can’t understand it. Andre Perold and Scott Harrison, who are leading the company, who are two of the smartest people in the financial markets, are puzzled by this. They bring in their engineers to try to understand what’s happened. Basically, what he’s telling them to do is to procrastinate at the speed of light. He’s telling them to go back to 65 milliseconds. So, they do this. They slow down their computers. And when they slow down their computers, they go back up from the bottom up to the top [of the league tables]. And the rationale for this very strange result, that being slower is better, even in the high-speed, high-frequency trading world, is that being the first mouse can be incredibly dangerous, if there’s a feral cat around; that there’s a first-mover disadvantage. If you’re the first mouse, you’re eaten by the cat. And the second mouse gets the cheese; that there’s a second-mover advantage. And the reason for that has to do with the nature of this War Game between the high frequency algorithms. That sometimes what these high-frequency traders are doing is sort of like what a fencer is doing, faking the first move. If you respond to that first faked move, you’ll react incorrectly. And so, some computer algorithm might be pretending to buy in the first few milliseconds when really it wants to sell—or the opposite. Or it might be implementing some strategy that suggests or might suggest to a less sophisticated algorithm that there’s new information coming into the market, so everyone should buy. But, actually they want to sell. And so, the advantage that UNX got was taking an extra few milliseconds to step back from the fray; to let these other computers execute their potential trickery, their other strategies and very, very high speeds and then step in at 65 milliseconds. Now, one of the really intriguing things about the high-frequency trading market is that although 65 milliseconds was the optimal strategy for a brief time, for UNX in this particular market, it wasn’t for long. That there’s a kind of optimal amount of delay that shifts and varies over time based on who else is playing in this War Game; based on what kinds of opportunities are available; based on what information is coming into the markets. And that that is variable over time. Latency is a kind of very high-speed delay. And it sounds crazy in the context of high-frequency trading. But it’s actually quite common in all of our lives. When you ask someone via the Web to work on your computer, they ping your computer and they might send a packet of data to your computer. If your computer isn’t ready for it, can’t operate quickly enough to process it immediately, if it arrives too soon, that’s disastrous. It gets lost. So, one of the things computer hardware designers will do is build in a certain amount of delay at different times. Software as well. A certain amount of delay depending on the relationship between computers. The same thing is true is telecommunications. If you’re talking on the phone, the sound of your voice is being delayed. We cannot hear a delay of 150 milliseconds. So, the telecommunications companies could speed up their signals. They could have the delay be only a few milliseconds. But, why would they spend that money, if we aren’t hearing it. It’s the same sort of rationale for why we wouldn’t pay extra to have a package delivered overnight arrive at 8:59 AM versus 9 AM. It’s not worth it. Arriving at 9 AM is fine. And it’s the same sort of idea in telecommunications and lots of technology, where you’re optimizing delay. You’re paring for a certain amount of reduction in delay, but not the maximum amount. GWorks [00:39:08:22] Is ‘latency’ in trading and technology connected to delay in the biology of decision-making? FP [00:39:15:22] I think there is a link between the un-human computer processing of information and these high-frequency decisions in a way that are being made by computers and human decision-making, which is operating at a much slower speed. It relates to the pre-mortem idea in a way because essentially what’s happening is that the human high-frequency traders are trying to anticipate what might go wrong or right under different kinds of market contingencies. And they’re programming the computers to respond in different ways based on what might or might not happen in the future. And that’s entirely human agency writing the code that the computers then follow later on. Now, in the heat of the market, where prices are plummeting, human agency is gone. The computers are reacting as they were programmed, automatically. And one of the problems in the Flash Crash was that the way the computers were automatically responding to this decline in prices that was triggered by Wadel and Reades very simplistic selling algorithm—this is one money manager in the mid-west that had an algorithm that dictated a certain percentage, nine percent of volume, that it would sell periodically. And one of the thing that happened was that the other algorithms were programmed in a way that caused them to pull out all of their bids, the willingness to buy when there was a rapid decline in the market essentially evaporated because humans had programmed the computers to do that, to pull out the liquidity, to pull out their willingness to buy in that sort of market scenario. Regulators have been puzzling through how to react to this problem. One of the things that they’ve done is to eliminate the ability to use what are called ‘Stub Orders’, which are orders for stock that you would agree to buy at a penny. And, it was a way to comply with a requirement that you, as a market maker, have a two-sided market, that you be willing to both buy and sell stock. But, some people in the market were effectively complying but not really complying by saying, ‘OK. I’ll buy. But, I’ll only buy at a penny,’ which is why these stocks, some of these stocks went from $40 a share instantly down to a penny a share because only those Stub Orders at a penny a share were the only ones remaining in the market. Regulators have said, ‘You can’t do that anymore.’ You can’t use Stub Orders. But, they’ve been puzzling through what you do when the computers, basically he bottom falls out of the market, and the computers are no longer willing to step in a certain price. And one of the things that they’ve, that regulators have been thinking through is both using delay, using a pause, and also using certain kind of barriers in the market that would prevent trades from going below a certain level, say five or ten percent below where the market was for a certain period of time. How the ideas in Wait apply to longer-term problems, like market regulation. “I hope it is a cautionary tale. That procrastination is good. GOVERNINGWorks (GWorks) [00:42:46:00] Markets and technology may move beyond specific problems but real damage may remain. How do the ideas in relate to regulating something like high-frequency trading? Frank Partnoy (FP) [00:42:58:00] It’s a very difficult challenge for regulators. And in the financial markets, regulators have tended to follow the markets with ex ante rule proscriptions. And that has been disastrous because what happens is the regulators are always two steps behind the markets. Part of that has to do with the quick evolution of technology. Part of it has to do with the fact that people on Wall Street, who are paid $10 Million a year, are necessarily going to be able...they’re going...the ‘brain drain’ from regulators to Wall Street is...is an economically rational brain drain. The people who are...have the greatest access to information and the greatest sophistication are ending up designing their ways around these rules. GWorks [00:43:47:12] The ‘brain drain’ and sophisticated manipulation of rules is ‘economically rational’ and politically disastrous? FP [00:43:52:12] And politically disastrous because essentially what’s happened is that regulators are always looking...at problems that have long, long passed and are regulating yesterday rather than regulating tomorrow. And regulators have been unwilling to embrace and standards or principles approach, a kind of ex post approach where you would tell the participants in the market, ‘If you do something that violates some standard—we might call it fraud, we might call it front-running, we might call it market manipulation. But, if your algorithm does something that satisfies that standard, then you will be prosecuted for it after the fact, or you’ll be subject to litigation. ‘We can’t specify what that is. We can’t tell you what the time-frame is. We have no understanding of what it might be in the future. But, we’re going to leverage off of the Holmesian notion that ‘the law is a prediction of what judge will do.’ We’re going to try to pack into your brain some forward-looking thinking about what might be wrong about what you’re doing today to try to force you to internalize the cost of this conduct rather than constantly like a cat chasing the ball of string—you know, always being a little bit late to stab at what the most recent problem was—that has not been an effective approach to regulating the financial markets. GWorks [00:45:24:08] Are you saying that structural and forward-looking market design is better market regulation than punishing behavior afterward? So, one of the problems that we’ve observed over the last couple of decades is that, as the compensation structure on Wall Street has become much shorter term, not surprisingly, the incentives and behavior have also become focused on the shorter term. So as...whereas in the past, partnerships on Wall Street would take into account 10, 20, 30-year consequences, the measure of compensation was really the career, not the year that...the agency costs within those institutions were much lower because they were the ones internalizing the costs. As the investment banks and banks became larger, went public, had wider investment base, raised more capital, the incentives started to change, change dramatically to be focused on quarterly results and on annual measures of compensation. And, even more importantly, within institutions, individuals no longer suffered the consequences of taking excess risks. So, whereas 20 or 30 years ago, if a trader took on a risk that could have bankrupted the institution, everyone would have the incentive, ‘Well, let’s stop that from happening.’ Right? ‘Let’s monitor that person very carefully.’ The parties that care the most about this sort of disaster are diffuse shareholders or really…it’s the tax payer base that ultimately has to bail out financial institutions. And that isn’t the same kind of concentrated focus. And similarly you’ve got within the institution, you’ve got traders at a relatively low layer within the organization who are taking increasingly complex risks that are short-term in nature, or rather than have short-term positives, short-term pay-offs and then potentially long-term tail risk on the down-side. So, positive gain today, I get a big bonus check in one year. There’s some risk but that risk is being pushed off or externalized into the longer-term future. And that’s a recipe for disaster. Some of this could be solved privately through private ordering. Some institutions are moving towards different kinds of models. And hedge funds now, which, by the way, did not create a lot of the trouble during the financial crisis, are structured much more like the partnerships of yore were structured. There’s a move to break up banks so that they will be smaller and structured differently. And there’s a move within banks to try to make compensation be longer-term in nature. To try to have longer vesting periods. To try to extend this period so that individuals don’t have these skewed short-term incentives. But also a lot of it is being driven on the regulatory side. Regulators are saying, ‘We have a serious problem within these institutions and so we need to do what we can to minimize these costs, these agency costs with...at the lower levels but then also extend the time periods, the relevant time periods for thinking about costs as long as possible into the future. GWorks [00:49:01:01] What role does value—ethical, moral, historical—play in Wait and it’s view of decision-making? In finance, for example, how do we reconcile the appealing vision of expanding home ownership with the financial crisis? If our closet is dirty, is that because we’re lazy and just lying around on the sofa? Or is that because we’re working on a cure for cancer or spending time with our families? And historically, looking back thousands of years, making choices about priorities in ways that today we would regard as procrastination were regarded as wise. And so the historical arc of that part of the book is to say that we went wrong in some ways. First in the kind of puritanical approach to procrastination. When Jonathan Edwards wrote his famous anti-procrastination sermon and in the Industrial Revolution we started focusing much more on ‘clock time’ rather than ‘event time,’ getting things done in a very efficient way. And then really the more recent historical precedent is the surge of the, of what I call the ‘anti-procrastination industry’ in the 1970s where Peter Drucker and others argued for efficiency and getting things done now, David Allen and ‘first things first’ as a principle. And that what’s happened more recently, in very recent history, is that this kind of anti-procrastination industry has run into the teeth of technology, which has overwhelmed all of our decision-making capacity. So that I think there is a kind of historical arc to the story in Wait that is pro-procrastination and reflective about what procrastination really is. And, and I sort of want to get away from even the nefarious implications of that term, the connotation of procrastination is such a negative one. I prefer ‘managing delay.’ That that is what we all should be doing is managing, managing delay. And that there is a kind of morality there. There’s something uniquely human about our ability to manage delay and procrastinate and think about the future and put things off. In terms of the mortgage crisis and sort of how it fits in with this over-arching philosophy? I think if we go back and think about the evolution of financial innovation, and mortgages are just one example of that, there clearly are benefits to financial innovation: The ATM machine; the mortgage are clearly beneficial for society. And, the question really is, what happens when finance evolves or innovates too far? In the private sector generally, innovation goes very, very slowly. And the stories about sudden innovation are apocryphal. Isaac Newton never had an apple fall on his head. Thomas Edison didn’t suddenly invent the light bulb. Tim Berners Lee didn’t suddenly discover the World Wide Web. And most products aren’t suddenly discovered. The sewing machine. The computer. All...the things that we use on a daily basis. Even the recent innovations. The iPhone. These are things that take years. Even Facebook. In finance, it’s different. Innovations move very, very rapidly. And when they move rapidly, they’re often dangerous. The creation of complex financial instruments based on mortgages moved extremely rapidly. The evolution of the ‘super senior claims on synthetic collateralized debt obligations’ in the financial crisis, those moved much faster than they should have. So that people didn’t have time to plan for a pre-mortem. They didn’t have time to think about the consequences of all these innovations are. I remember when, I used to work on Wall Street. And we created a new product, a complex derivative based on emerging markets. We sold it one of our clients. Within a few hours, we had received by fax from one of the competing banks, the exact same product that they had sold. Innovation on Wall Street moves at a very rapid pace in a viral way. And it often becomes disastrous. And that’s what happened with the very, very quick evolution of financial products and financial innovations that lead to the mortgage crisis. We created these enormously complicated products that very few people understood, piling on risk upon risk. And we moved so far away from the fundamental benefits of, of mortgages. And so, I hope it is a cautionary tale. That procrastination is good. That innovation comes slow. And so we should be skeptical of financial innovation that moves fast. Thinking about and changing values. GOVERNINGWorks (GWorks) [00:54:48:23] Do we apply the logic and historical value of Wait to the world we live in? Or do we face categorically different problems? Frank Partnoy (FP) [00:54:55:23] I hope that same logic works here. There’s a kind of race between technology on the one hand and the human capacity to keep up with technology on the other hand. And we have the capacity to take a step back and understand how we need to evolve and how we need to move and how quickly we should be moving. I have a lot of faith in the resilience of human decision-making and our capacity to understand our own biases and the problems with our own snap reactions. So, I am hopeful that we’ll persevere. If you think about what kinds of muscles we’ve been exercising in recent years, increasingly we’re exercising our intellectual fast-twitch fibers. And those aren’t the ones that are necessarily the best for the kinds of races we’ll have to run with technology. Many of us will have to use technology at a very fast pace. But, we’ll always need leaders and crucial decision-makers to use their slow-twitch intellectual fibers to take a step back and engage in conscious contemplation. And in order to be able to use those effectively, you have to exercise them. You have to get practiced in sitting with book for eight hours or taking a month to make some important decision and having an idea that is deeply conflicted or puzzling sit in your brain for a year as you puzzle over it. So, we need a certain group of society to be doing that even as technology is buzzing along at these increasingly fast paces. And, one of the interesting things I found from my interviews, I interviewed over one hundred people for Wait, and I found that increasingly within institutions that the people who were at the bottom of the institutions were those who were required to exercise their fast-twitch intellectual capacity and sort of keep up with instant e-mail. They were reprimanded in some ways for taking a step back and thinking. And that, really what power is, and moving up within the pyramid of an organization, is partly driven by the ability of the person to carve out time to make more strategic decisions, to not be subject to the expectation that they’ll immediately respond to an e-mail or a phone call. And the CEOs that I interviewed and the senior government leaders I talked to all were very comfortable with this notion that they would not respond to crises. That they would take a step back. And there’s this notion at the top of organizations of not responding, of delaying, of waiting. And I think one interesting sort of meta-question that came out of Wait is that the locus on power in some sense within an organization is related to the capacity to delay. That the most senior people are those who are like the wise elders who can kind of sit back and think about decisions. And that what the people at the junior levels of an organization should be doing is, as much as they can, satisfying the immediate needs of the job but also carving out the capacity for delay, the ability to take a little bit longer with decisions. So, hopefully, is there’s one sort of over-arching message, it’s that as we’re learning more in our careers, as we’re moving along within organizations, that delay is a kind of important asset and that we should build these long slow-twitch muscle fibers in order to enhance our own capacities to delay and move up the ladder. GWorks [00:59:07:01] You write about political and economic ideas that take years to play out—Joseph Stiglitz and economic value; French President Sarkozy and re-thinking GDP. President Reagan comes to mind. Are long-term questions of value something to which law is particularly (or at least better) suited? FP [00:59:19:01] Reagan is a great example and Joe Stiglitz is a great example—someone who’s been incredibly patient and who has set forth agenda that really is a decades-long agenda that will outlive him, that he says, he told me, will clearly outlive him and he hopes will have impact in centuries rather than in years. And Deng Xiaoping is another example. The kinds of important intellectual leaders of society have been those people who have very, very long-term time-frames. And I think you’re right, that it’s an important lesson for people in law—and also for law professors. Law professors are as subject to this as anyone. And we have this sort of impetus to get on blogs and instantly respond to news or regulatory changes. That’s a useful thing to do. But, really, one of things that law professor can do that’s more important is to provide as a kind of intellectual backbone for the regulatory and legal apparatus, a decades-long vision about where regulatory change should go and to resist the urge that technology pushes on us to respond to the news of the day. And that doesn’t mean we should never call journalists back. We should. It’s important for us to play that role. But that we should keep in mind that sitting back and thinking about ten years, 20 years. There aren’t that many people doing that in society. And so, I hope that law professors will play that role. GWorks Interviews: Frank Partnoy was filmed Tuesday 31 July 2012 in the offices of Drinker Biddle & Reath LLP in New York City. GWorks would like to thank Professor Partnoy for his generous participation; Emily Lavelle, Tessa Shanks and PublicAffairs; and Sheila Bonham, Crystal McNeill, Michael Remington and Drinker Biddle & Reath LLP. Please note: PublicAffairs provided a Reviewer Copy of Wait: The Art and Science of Delay. Photo: Frank Partnoy. Courtesy PublicAffairs. Photo: Wait: The Art and Science of Delay. Courtesy PublicAffairs.